The path of early Homo Sapiens out of Africa. Photo Credit: J.I. Rose and A. E. Mark, Quartar. A pair of American archaeologists claim that through tool evolution they managed to track the route humans took moving from Africa across Eurasia about 50,000 to 60,000 years ago. Jeffrey Rose of the Ronin Institute and Anthony Marks of Southern Methodist University, studied stone tools from Arabia, norhteastern Africa and the Middle East, reaching the conclusion that the evolution of stone tools starts at the Nile Valley about 15,000 to 130,000 years ago, moving to the Arabian Peninsula and then Israel. 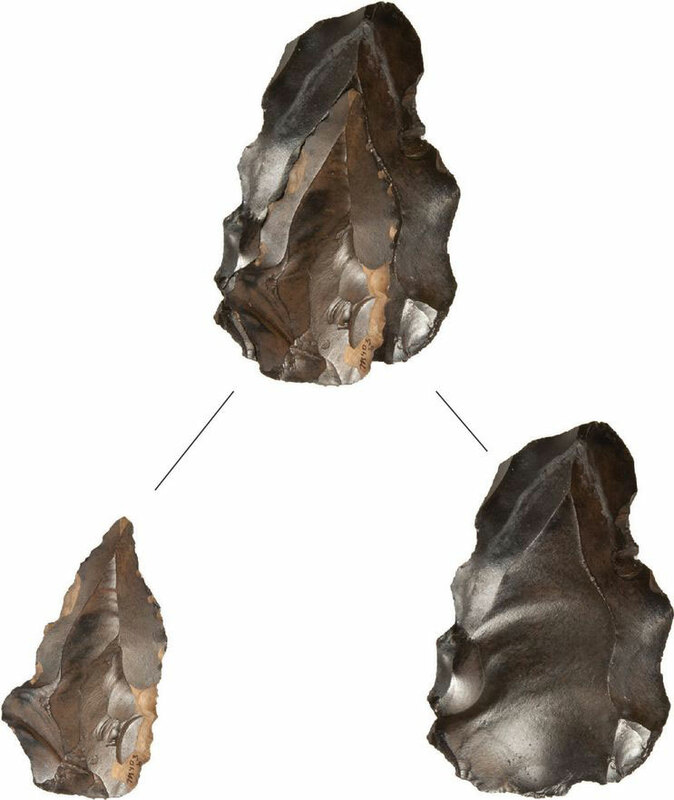 Hunter-gatherers inhabiting the Nile region made Nubian tools, by chipping away edges of a stone core to produce a triangular point. The missing link, the bridge technology at this point, is the Emiran. 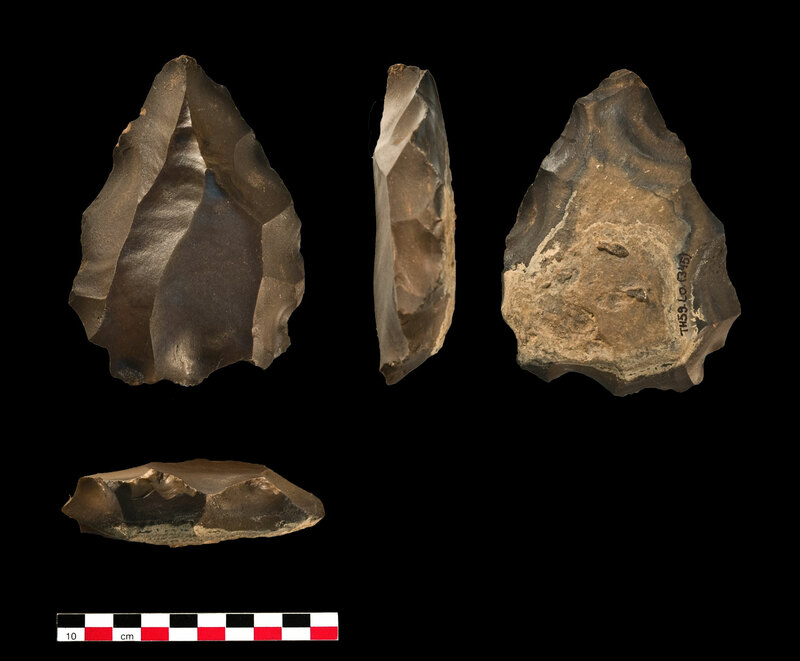 The Emiran, dated to about 50,000 years ago, is a set of tools including points, blades and scrapers and was first discovered in a cave near the Sea of Galilee in 1951. Researchers until now proposed that those toolmakers moved to the Middle Easte where they invented the Emiran. However, Rose and Marks argue that they went to Arabia first—and that it was their Arabian descendants who would later develop the Emiran. 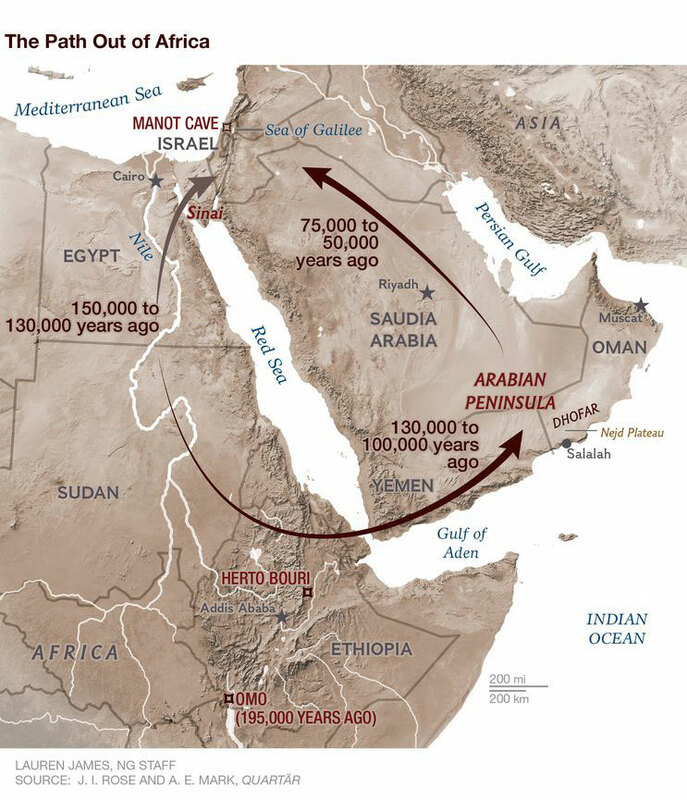 Rose and Marks argue that the early Nile tool makers travelled to Arabia where they stayed for thousands of year, while it was still green and fertile, until climate change made them move to the Levant. How long they occupied these areas through the cycles of changing climate remains to be determined through future research. They describe two types of tool kits that derived from the Egyptian Nybian in Arabia, the Dhofar Nubian and the Mudayyan industries of the Nejd Plateau of Oman. Evolution from the one to the other meant that tools became more similar to the Emiran, adapting to climate change. For instance, the need to hunt small and fast animals, like lizards and rodents, led to the need of smaller and more elongated hunting tools. 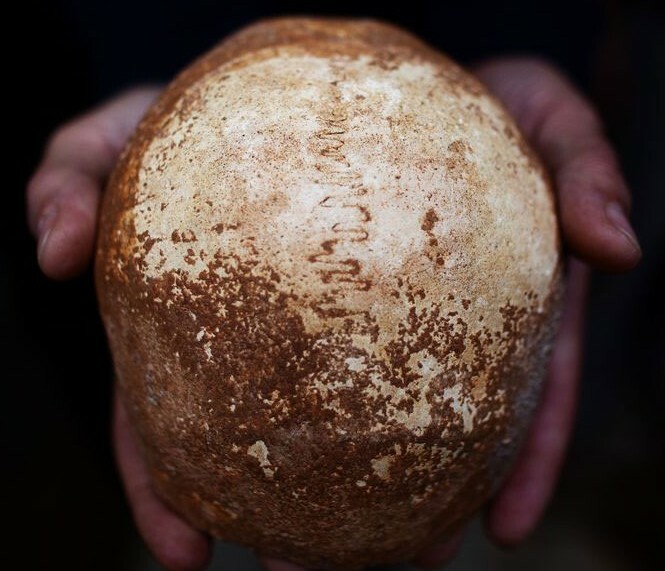 The researchers also suggested that modern humans who created the Emiran were influenced by archaic people, possibly Neanderthals, who left behind fossils and primitive tools, the so called Mousterian, about 70,000 to 50,000 years ago. A 55,000-year-old modern human skull from Manot Cave in Israel, reported last month has yielded new evidence that moderns were there at the same time as Neanderthals. Not all members of the scientific community share this view, but still, the significance of Arabia in the evolution of modern humans has definitely taken a new path.